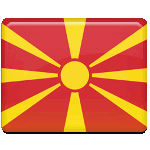 August 2 is a major public and religious holiday in the Republic of Macedonia. It is known as Republic Day or Ilinden (the feast of Saint Elija). The holiday commemorates two important events in the country's history. Macedonians have been celebrating this day for centuries because of its religious significance combined with the remainders of ancient pagan traditions. August 2 is the feast day of Saint Elija in the Orthodox Church, who is one of the most important prophets in the Old Testament. Bulgarians and Macenonians call this holiday Ilinden. Two major events in the history of modern Republic of Macedonia took place on this date. In 1903, the Internal Macedonian-Adrianople Revolutionary Organization organized the Ilinden Uprising against the Ottoman Empire. In 1944, the first plenary session of the Anti-fascist Assembly for the National Liberation of Macedonia was held. It proclaimed a Macedonian nation-state. Both events were crucial for the establishment of the statehood of Macedonia. That is why in 1944 August 2 was declared as a national holiday. The main celebration of Republic Day is held in the town of Kruševo, where the rebels proclaimed a short lived Kruševo Republic during the Ilinden Uprising.